Cut the French stick in half, then cut into slices 2/3 of the depth of the stick. Place the butter in a small bowl and microwave for 10 seconds or until the butter has melted. 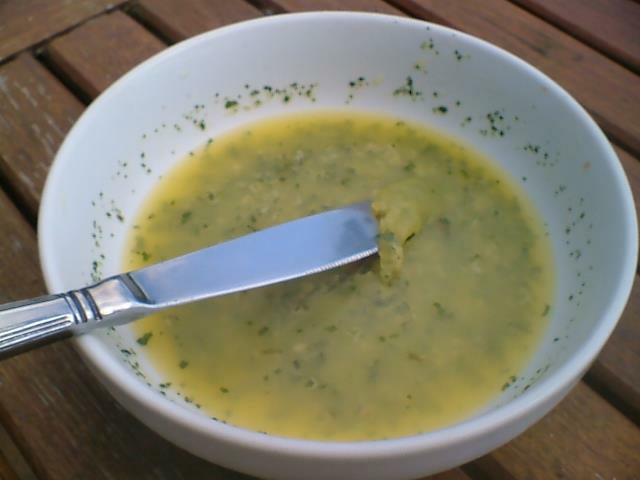 Add the garlic and parsley to the melted butter, combine until smooth. 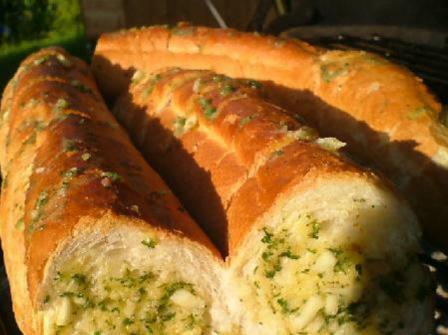 Spread the mixture between each slice of bread and drizzle the remainder over the top of the stick. 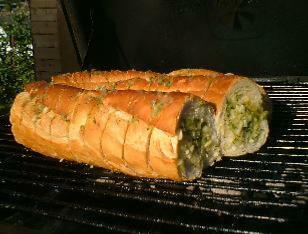 Wrap the stick in tin foil and place on the barbecue, until the bread is hot. Direct cooking time: approximately 5 minutes. Indirect cooking time: approximately 10 to 15 minutes. Absolutely super with lamb or as a simple starter. It's so much more tasty, when you prepare your own. Chopped parsley can be purchased from the herbs and spices rack, at your local supermarket, to save time. Sometimes it's the simple things that make your BBQ a success. Why not serve with a hot salad cooked in olive oil on the barbecue. 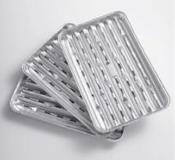 Its easy, just put all the left-over bits of anything from the fridge into flat pie tin or silver foil and season well. 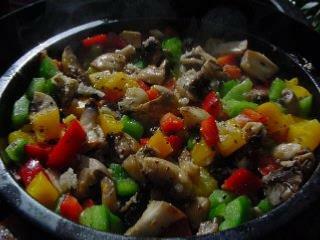 Red, green, and yellow peppers with mushroom, makes an excellent hot salad. You can place the bread on the barbecue without foil if you like it crispy like toast.